Back in September, Mrs cohutt declared she didn’t really like turnip greens. About 6 seconds earlier I had entered to declare what new seeds I had just plnated in a little spot between the fence and a garden bed. In her defense I wasn’t really a fan of most of the turnip greens I had consumed up to that point either. Neither of us had ever cooked any ourselves and certainly hadn’t grown any, so these greens were going to be an experiment based solely on the faith we might be able to make them edible. A few months and a dozen or so turnip green based meals later, we have changed our opinion. 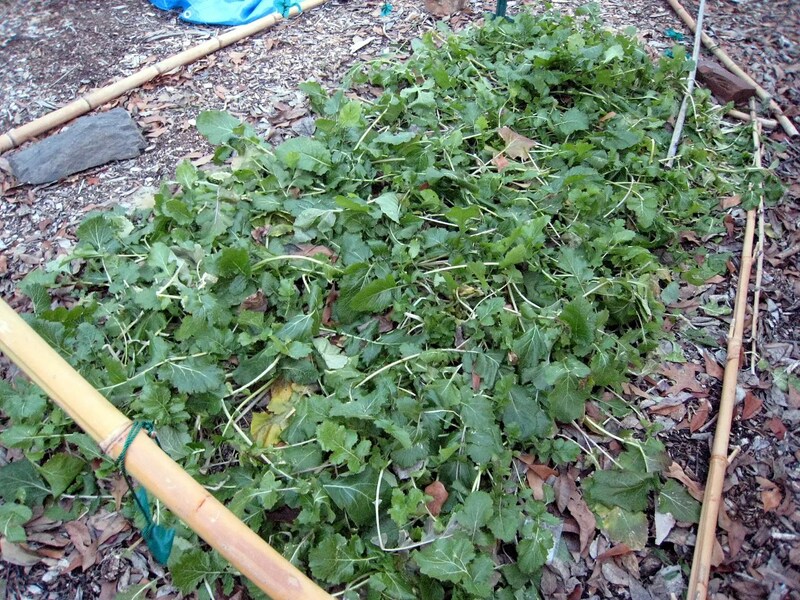 Cut greens, pick and strip large stems form them. While all the green boiling is going on, saute one or two slices of bacon in a large frying pan, remove and crumble. Once the greens have drained a bit, put them in the “well lubed” frying pan with the bacon crumbles. I usually toss a ham hock or two in a pan to brown a little. Add some water and simmer until the hock tender. Toss in the greens and simmer till done. Pull the hock and pick the meat off and add it back to the greens. Sometimes I’ll add some chopped onions and saute in the hock fat. 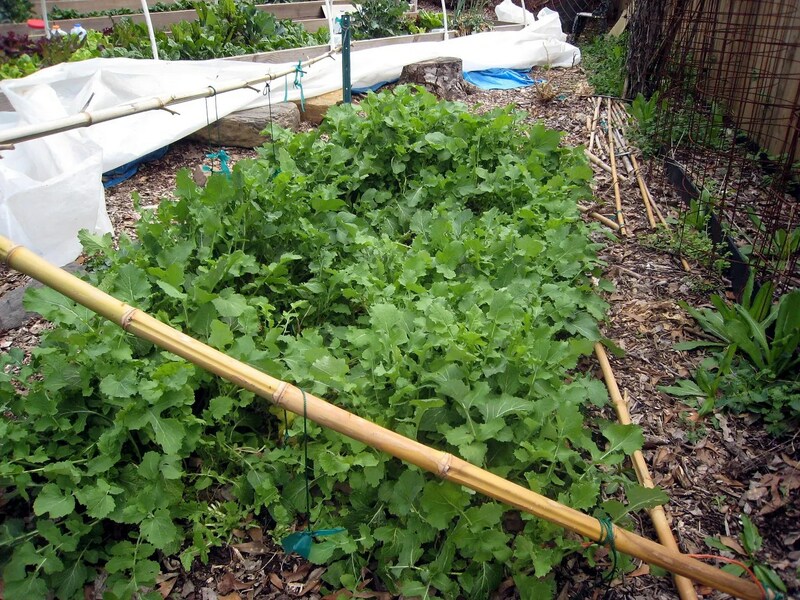 I like a few shakes of Texas Pete’s vinegar sauce on my greens. Thanks, I see a lot of recipes (of the traditional deep south kind) similar to yours; the ham hock is the most mentioned meat/fat addition. I guess we have gravitated to bacon out of convenience (usually keep a little handy for poppers now) and cheapness (a slice or two of bacon costs a quarter, a ham hock costs what, $2.00? lol). Dang, those look good. I am totally going to have to try that recipe with my collards. It’s hard to beat fresh greens. Not surprised that y’all have become fans. 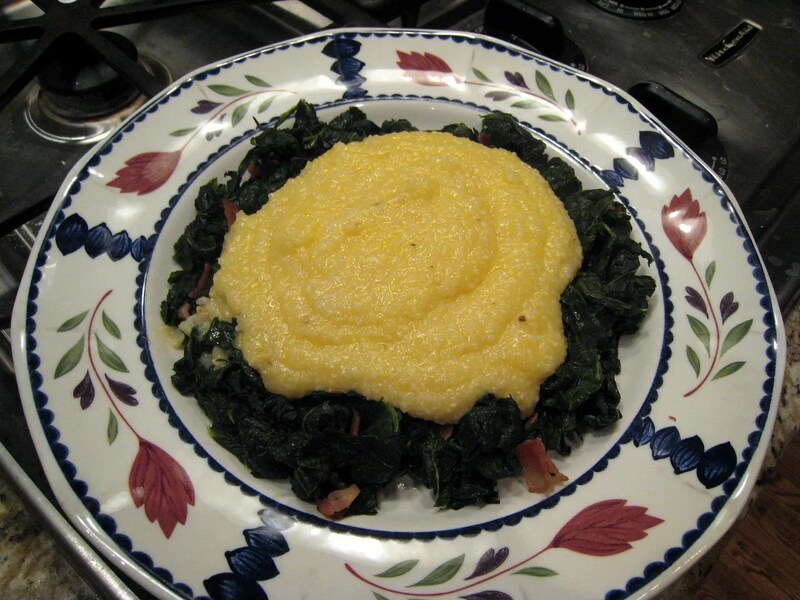 Those grits and greens look great!